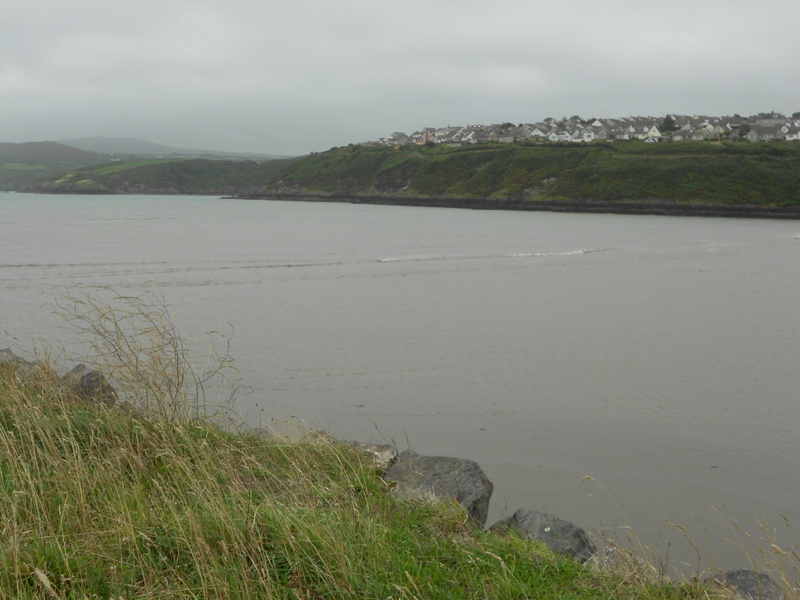 Fishguard, South Wales | Words, By George! 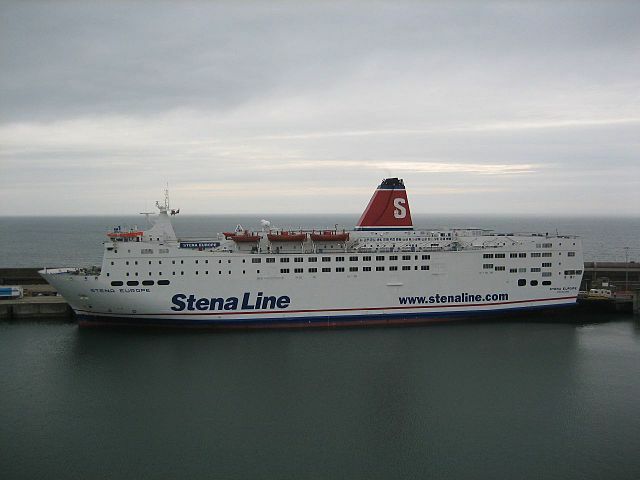 Fishguard in South Wales is the ferry embarkation point for Stena Ferries to Rosslare in Ireland. 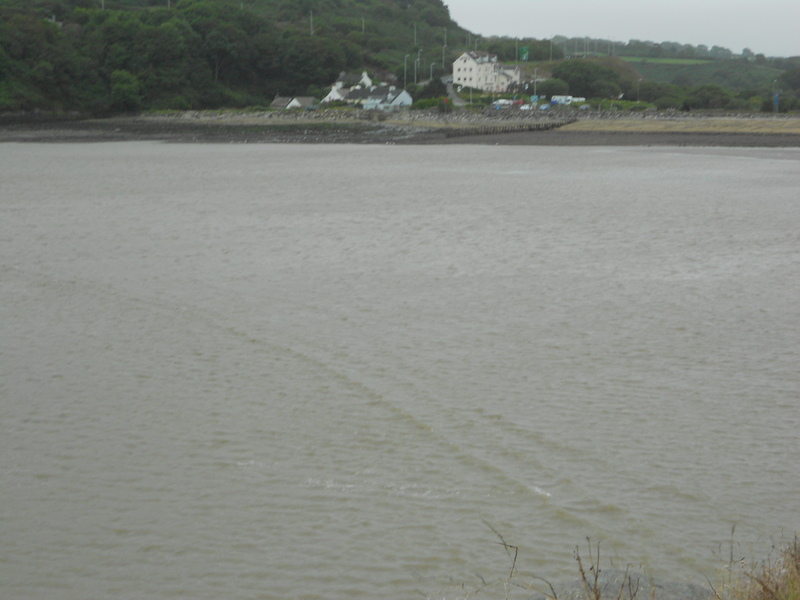 Well thats not exactly true, because the ferry port is in Goodwick which is just down the hill from Fishguard. 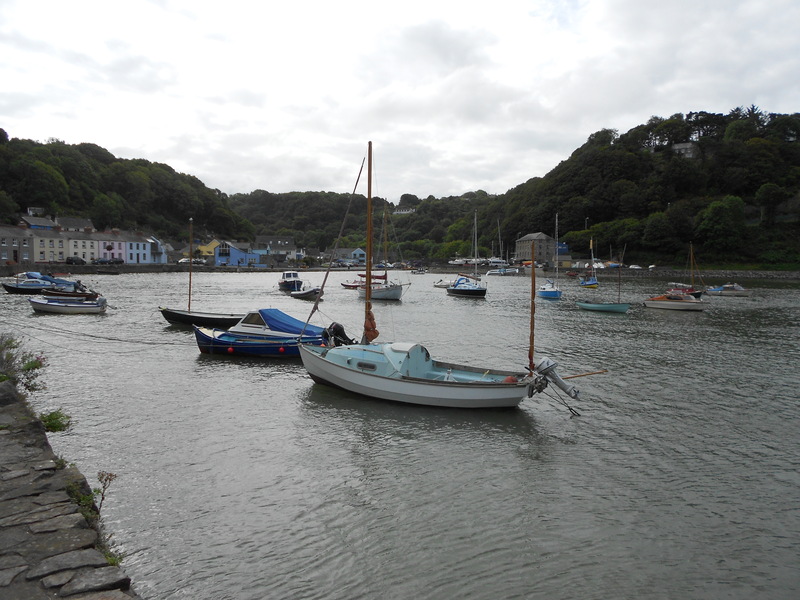 Fishguard is divided into Upper Fishguard where most of the commercial entities are, and the Lower Town which is mostly residential and the location of the Fishguard Harbour. 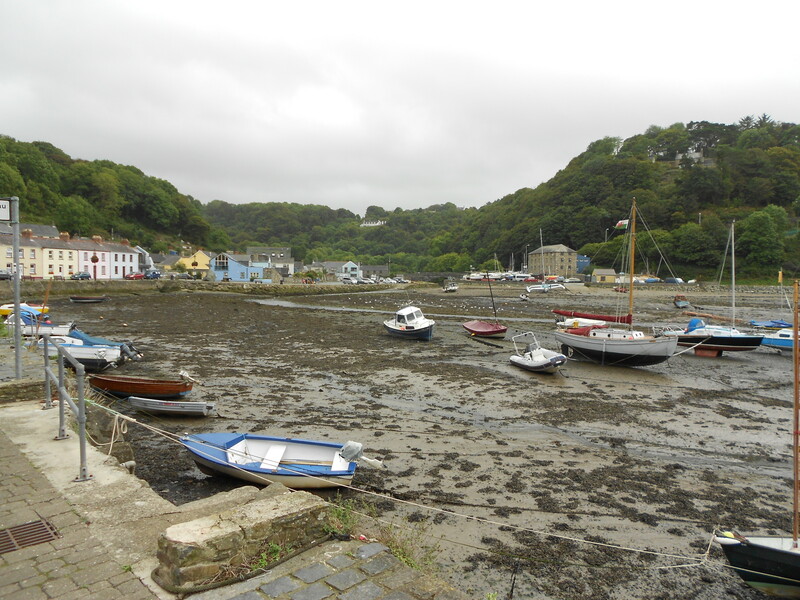 This is a tidal harbour, which means that half the time the boats arte floating in the habour, and the other half their are sitting on the muddy harbour bottom. 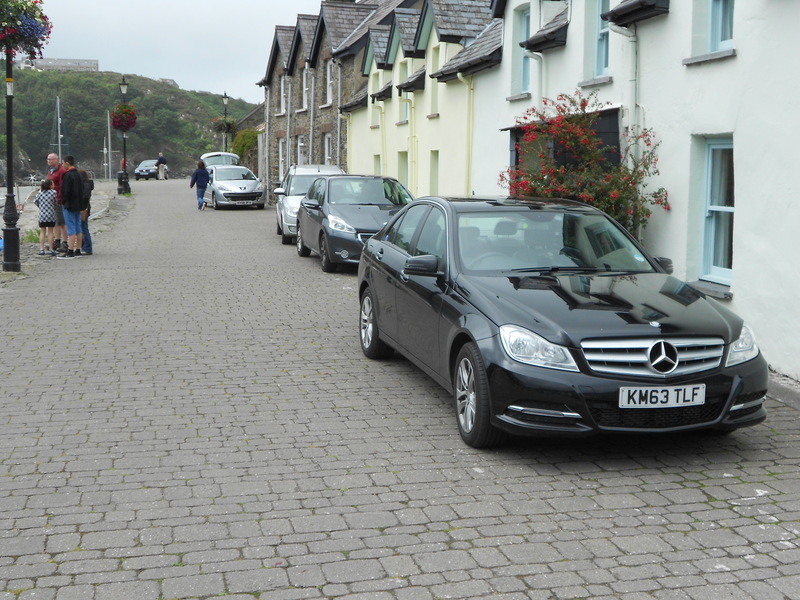 The Fishguard lower town has narrow streets with brightly coloured houses, with the economy relying on fishing. Houses on the harbour street. BTW, that’s my Mercedes, LOL! That’s not surf below! That’s the tide running in! It rises 9 foot (3m) in three hours! Tide on the run in! Tide on the run oin!